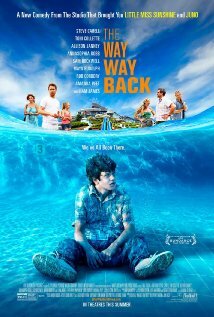 Fox Searchlight releases The Way Way Back in select theaters on July 5th, 2013. NYC MOVIE GURU: What attracts you to complex roles? Toni Collette: I have to say that I’ve been really lucky. I love what I do. Over the last 18 months, every single job has been so fulfilling and so much fun. I look for roles that are complex and that have depth. I think that the most interesting about any story whether it’s on film or not is someone who’s struggling to a certain degree with change or yearning to change but not knowing how to implement it in their lives and watching them learn about life and themselves---and finding strength within themselves or not. NYC MOVIE GURU: What advice would you give to those who aspire to learn the trade of acting? TC: I don’t think you can learn it. I think that you either have it or you don’t. The best thing that you can do is just to listen to your gut by which I mean my heart, which is what I try to do. NYC MOVIE GURU: How did you shake your role off physically and emotionally? TC: This experience was more fun than anything else. I know that what my character is going through is really very distressing to her and she’s overwhelmed about it, but once I infuse it into a scene, I find it really easy to let go. I don’t really hold onto stuff---I’m not any kind of method actor. The main thing for me is just to be really present during the scene and make it as real as possible. NYC MOVIE GURU: How do you assess your character's parenting skills? TC: I think that the best thing that you can do for your kids is to just love them as much as you can. She does that. She and her son actually have a really great relationship. This new relationship that she has with her relatively new boyfriend kind of gets her off the path a bit. Her focus has shifted throughout the story. She realizes the strength of the bond that she already has with her son without feeling like she has to add a third angle to their family shape. It doesn’t need to be a triangle. They’re actually very strong as they are and they don’t need to force this obvious monster into their lives. NYC MOVIE GURU: Where in the spectrum of optimism and pessimism do you consider yourself? TC: I'm ultimately a pretty optimistic person. I think that it's really natural to go through periods of cynicism, self-doubt and sadness. It's just part of being human. Ultimately, optimism prevails for me and I'm very thankful for that because I know that that's not the way for everybody. NYC MOVIE GURU: How do you imagine Duncan as he grows older? TC: If Duncan were to continue on, it's not like he's suddenly Superman. I think that a seed has been planted and a very beautiful flower will continue to unfold. Pam will continue to stay on the right track with him and to provide him with love. NYC MOVIE GURU: What do you think is going on with Pam psychologically? TC: I think that Pam felt really vulnerable. She's only been separated from her husband for about a year and she's probably a bit lonely, too. So, along comes this guy who's charming and charismatic and makes her feel like a princess. She was blinded by that. It's only through the course of this summer vacation that Duncan helps reveal the truth to her. When she realizes what's going on and allows it to continue, that's the most interesting part of Pam's journey. You can see that she's struggling with it, you can kind of be frustrated by her inactivity because she seems so passive, but I think that she's really just building up some guts and trying to figure out which way to jump. NYC MOVIE GURU: What do you think are the basic elements that turn a coming-of-age movie into a classic? TC: First of all, I think it needs to be based in truth and have a very grounded quality to it. Also, you don't want it to be too heavy or too much of a broad comedy, so I think that it's about balancing the tone. TC: I'm concerned. I mean, obviously, it makes things really easy and it's exciting to have so much information at your fingertips, but I think that it's creating a society of completely ostracized people. It's so easy to become absorbed in your own little world. It's kind of getting to any unhealthy limit. If people could limit their use of it, it would probably be wise because otherwise we're all going to be walking around in bubbles, ignoring each other. We're only here for a finite time. I'd rather be in the world and enjoying the physical nature of things rather than staring at a screen. TC: I see it in two ways. I don't think that I'm justified to complain because I still seem to be able to seek out little things, little pots of gold, that are incredibly satisfying to work on and hopefully speak to audiences as well. The population is many and varied, so I find it frustrating the fact that there are these kind of broad, massive-budgeted wastes of money. But there is an audience for it, so I understand that people are yearning for escapism. I'd rather be in the world and enjoying the physical nature of things rather than staring at a screen. Sadly, the answer is, more often than not, money. If there's a massive budget, they want to make their money back, so they're going to want the story to appeal to as many people as possible therefore it gets dumbed-down, boring and very generic. For a human story that you can relate to on an emotional and psychological level, which I personally feel is most satisfying, more often than not, the budget is next to nothing. In a financial sense, the film is seen as being a risk because how could anyone want to watch this kind of movie? But if you look at The Way Way Back, the budget was just over $4 million, we all did it because we loved it and related to the story. If the cast and crew en masse felt like that, there's a high chance the audience would feel that way too. So far, it seems to be indicating that that might be the case which will be a great success for this small, indie film. NYC MOVIE GURU: What film do you think would be best to double feature with The Way Way Back? TC: I'd have to say Muriel's Wedding. It's kind of the same story. It's about someone who's entirely uncomfortable and unsure of themselves, unsteady and unsupported in the world, finding someone who they can trust and learn from which then empowers them to become clearer, stronger and more confident in themselves. When someone is feeling like that, their whole world is much more positive. I think that's similar to what's going on with Duncan in The Way Way Back, so it would be a great double bill.